Mrs. Barbara Jean Hyman Eaton, age 82 beloved wife of the late Mr. Albert Clifford Eaton, Sr. of W. Gibson Street entered into rest Monday evening December 3, 2018 at Piedmont Athens Regional Hospital. Funeral services will be held at 11:00 A.M. Thursday December 6, 2018 at the First Baptist Church of Warrenton with Dr. Brandon Furr and Rev. Tony Mimbs officiating. Burial will follow in the Savannah Valley Memorial Gardens. Mrs. Eaton will lie in state one hour prior to services in the church sanctuary. Mrs. Eaton a native and lifelong resident of Warren County she was the daughter of the late Janie Reese Hyman and Samuel Thomas Hyman. A 1953 graduate of Warren High School, Mrs. Barbara was a retired supervisor and seamstress with Garland and later Health Tex. 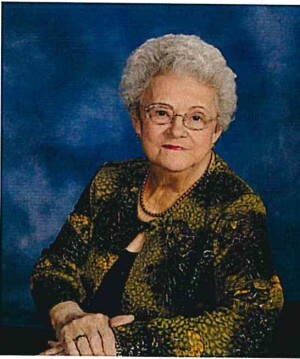 She was an active member of the First Baptist Church of Warrenton and the Laura Lee Sunday School Class. Survivors include her daughters, Teresa (Tony) Mimbs, Tina (Melton) Bland both of Warrenton, and Tonya (Lawrence) Raulerson of Pembroke, her son, Tony (Anna) Mayo of Milledgeville 11 Grandchildren and 17 Great Grandchildren. Pallbearers will be her grandsons, Seth Bland, Scott Anderson, Matt Spacek, Sy Raulerson, T.J. Mimbs, Dalton Raulerson, and Will Mayo. Honorary pallbearers will be members of Laura Lee Sunday School Class. Friends may call at the residence of Melton and Tina Bland 299 Mayfield Road Warrenton, GA or from 7:00 – 9:00 P.M. Wednesday at Lowe Funeral Home.